You know the toughest thing is to accept people for who they are. Because so many things come in the way — your ego, your expectations and what you would want in return. We have our own expectations by which we measure others. We focus so much on whether the other person is meeting our standards that we forget to accept them for being uniquely flawed and evolving, just like ourselves –- perhaps at a different pace, in a different place. But when we actually succeed, when we accept someone for who they are, we see how quickly they begin to transform and fall in line with our standards of acceptability and we come to realize that our scope of acceptance has widened to give them more leeway. 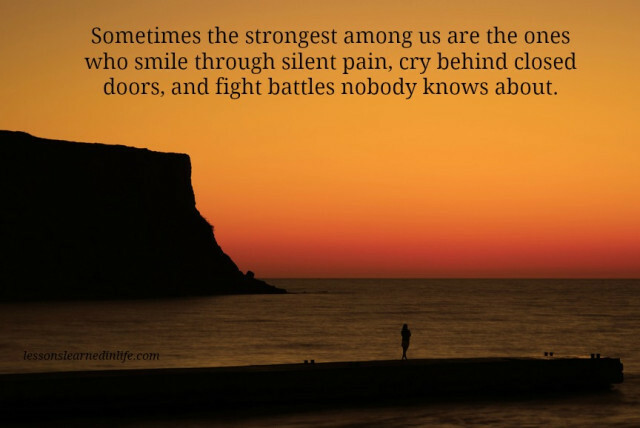 The truth is that we don’t know about the silent battles fought by those we find hard to accept; battles that are perhaps a reflection of the tough times they go through. We do not see the pain behind the suffering and loss they have endured. We do not know what wisdom is hidden in the hearts of those who go unnoticed. Recognizing this humanizes ourselves, flattens our egos, and gives us reason to treat every person with compassion and kindness. The most broken and rejected people can teach us more about life than some teachers ever could. They can teach us about hope. It is not because we have more to share than anyone else, but because it is so often that we, ourselves, need to hear the words we speak. By offering hope to others, we develop hope for ourselves. See, the reality is, that no matter how insightful someone may seem they are equally clueless. Enlightenment begins here, with the sobering reminder that there are no masters in life… only helpers. Be a helper. Inspire someone. Empower their soul.